Kathy Kraninger, President Trump's nominee to run the Consumer Financial Protection Bureau, testifies before the Senate Banking Committee on Thursday. "I have the utmost confidence that she is well prepared to lead the bureau in enforcing federal consumer financial laws and protecting consumers in the financial marketplace," said Committee Chairman Mike Crapo, R-Idaho. But Democrats say she has no financial industry regulation experience. And they say she's been involved in some of the worst debacles of the Trump administration, including the response to Hurricane Maria in Puerto Rico and the White House's zero-tolerance policy which resulted in the detention and separation of immigrant children and parents at the border. "These are innocent children who may be scarred forever by this policy,"
said Sen. Elizabeth Warren, D-Mass. "It is fundamentally immoral and you, you were part of it Ms. Kraninger. It is a moral stain that will follow you for the rest of your life. And if the senate votes to give a big promotion to you after this, it is a stain on the senators who do so." Sen. Bob Menendez, D-N.J., said he has obtained emails showing that Kraninger was an architect of the administration's "botched" response to hurricane damage in Puerto Rico. "Three and a half million American citizens who just happen to call Puerto Rico their home, but they are American citizens like you and I are, faced their darkest hour," he said. "And instead of turning to help them you pinched pennies. And worst of all, I think you treated them as second-class citizens. "That does not give me the faith that when you have to stand up for seniors, service members, students, homeowners against some of the biggest financial institutions in this country that you'll do that. If you couldn't do it for the people of Puerto Rico, I don't know how you're going to do it for anybody else." In response to questions about her role in hurricane response or the zero-tolerance immigration policy, Kraninger parried, saying, "I don't think it's appropriate for me to get into the details of my advice" to the various agencies involved. "You're dodging," Warren said about that repeated answer. In a heated exchange, Warren tried to pin down Kraninger, asking her whether she was involved in any way with "developing or implementing the policies that led this administration to take thousands of children away from their parents at the border." Kraninger replied, "Senator, I had no role in setting the policy." "It was developing or implementing," Warren interrupted, repeating the words of her question. As Kraninger declined to discuss her role, Warren pressed her in dramatic terms. "I will remind you, you are under oath and lying to Congress is a crime," Warren said. Kraninger said it was a "slippery slope" to answer such questions. Warren shot back: "No, it's not a slippery slope. You don't want to characterize because you don't want to admit that you had something to do with this. This was a policy that was designed to traumatize children and families as a way of scaring them away from the border even if they were seeking asylum even if they were fleeing death threats, gang violence, domestic abuse." For her part in her opening statement, Kraninger talked about her lifetime of public service, starting with a college summer internship for Sen. Sherrod Brown back when he was in the U.S. House. She also mentioned a two-year stint in the Peace Corps in which she said she saw "firsthand the devastating impact of communism, the economic consequences of central planning, and the absence of free markets and the rule of law." Sen. Brown, D-Ohio, questioned Kraninger's view of free markets as a cure-all. He said he met with her and raised questions about such problems as payday lenders charging 600 percent interest rates. "Your answer to all of these seemed to be that the market will take care of this," Brown told Kraninger. But Kraninger said she will protect Americans from predatory financial practices if confirmed. "Under my stewardship, the bureau will take aggressive action against bad actors who break the rules by engaging in fraud and other illegal activity," she said. The White House called Kraninger the "right leader to reform and refocus" the CFPB.  "Kraninger has dedicated her career to public service and has served in a wide range of leadership roles in both the executive and legislative branches," it said in a fact sheet issued shortly before Thursday's hearing. Consumer groups and Democrats have been up in arms since late last year when the White House named former Republican congressman Mick Mulvaney as temporary head of the CFPB. Mulvaney was a fierce critic of the bureau and he's been making it less aggressive. Kraninger worked as a deputy under Mulvaney at his other job, director of the White House Office of Management and Budget. 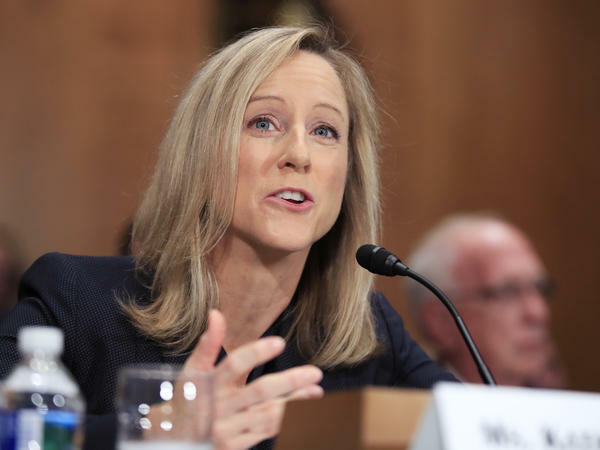 Many Democrats say being a mid-level bureaucrat at OMB doesn't give Kraninger the qualifications she needs to run a consumer protection agency and be a tough cop on the beat policing financial firms. "The immigration budget and policy planning process overseen by Ms. Kraninger produced a humanitarian catastrophe," the report says in reference to the federal government's response to hurricane damage in Puerto Rico. "Ms. Kraninger's failure to ensure an adequate, timely response in Puerto Rico has turned a natural disaster into a man-made disaster. And the budgets developed at OMB under Ms. Kraninger's watch would have made America's affordable housing crisis even worse." Until Kraninger is approved by the Senate, Mulvaney will continue as acting director of the CFPB. Mulvaney says he is changing the bureau's mission to make it a much less aggressive regulator. He dropped a predatory lending lawsuit against an online lender charging 900-percent interest rates. And he's reconsidering an Obama-era rule that would force payday lenders to make sure their customers can afford their loans. These and other moves have sparked sharp criticism from consumer advocates who fear they'll see more of the same from Mulvaney's deputy at OMB. Kraninger is expected to be confirmed, though the timing of that remains uncertain. Elizabeth Warren and other Senate Democrats fired tough questions today at President Trump's nominee to run the Consumer Financial Protection Bureau. Financial industry groups and Republicans are backing Kathy Kraninger's nomination, but Democrats say she has no experience with consumer protection. They fear President Trump is sending her in to weaken the agency and slash its budget. NPR's Chris Arnold reports. CHRIS ARNOLD, BYLINE: The Trump administration says that Kathy Kraninger's job at the White House budget office gives her the skills she needs to, quote, "reform and refocus" the Consumer Protection Bureau. Many Republicans think the bureau has been too aggressive in going after financial firms, but Democrats love it for being a tough watchdog created in response to the financial crisis. They've painfully watched as a Trump-appointed temporary director has already put this watchdog bureau on a tighter leash. But Kraninger today pledged to pursue the bureau's mission. KATHY KRANINGER: Under my stewardship, the bureau will take aggressive action against bad actors who break the rules by engaging in fraud and other illegal activity. ARNOLD: Still, Democrats are skeptical, and the hearing at times grew heated. ELIZABETH WARREN: I'm asking you a pretty straightforward yes-or-no question. And I will remind you you are under oath, and lying to Congress is a crime. ARNOLD: Senator Elizabeth Warren grew frustrated and told Kraninger that she was dodging questions. Given that she's had a policy position in the White House budget office, senators asked her about her role in some of the most highly criticized actions by the Trump administration, including the policy of separating immigrant children from parents at the border. But Kraninger refused to go into any details. Warren says that was because the nominee didn't want to admit that she did play a role. WARREN: I went to the border last month. I met a mother who was torn away from her 7-year-old little boy in the middle of the night. She could not stop crying. All she could say over and over and over is, I never even had a chance to say goodbye. These are innocent children who may be scarred forever by this policy. It is fundamentally immoral. And you - you - were part of it, Ms. Kraninger. It is a moral stain that will follow you for the rest of your life. ARNOLD: Senator Bob Menendez said in the hearing that he had emails showing that Kraninger was an architect of the administration's botched response to get hurricane relief to Americans in Puerto Rico. BOB MENENDEZ: Instead of turning to help them, you pinched pennies. And worst of all, I think you treated them like second-class citizens. That does not give me the faith that when you're going to have to stand up for seniors, service members, students, homeowners against some of the biggest financial institutions in this country that you'll do that. ARNOLD: Republican committee chairman Mike Crapo, though, threw his support solidly behind Kraninger. MIKE CRAPO: I have the utmost confidence that she is well-prepared to lead the bureau in enforcing federal consumer financial laws and protecting consumers in the financial marketplace. ARNOLD: Still, many Democrats made a point of the nominee's lack of any direct experience in the field of consumer financial protection or financial regulation. Heidi Heitkamp of North Dakota. HEIDI HEITKAMP: Have you ever worked at a bank or a credit union? HEITKAMP: OK. Have you ever had oversight or regulated a bank or a credit union? HEITKAMP: Have you had any final decisionmaking responsibility for enforcing state or federal consumer protection laws? HEITKAMP: So the answer is no. ARNOLD: Republicans at this point are expected to have enough votes to narrowly approve Kathy Kraninger to be the new director of the Consumer Financial Protection Bureau. Chris Arnold, NPR News. (SOUNDBITE OF NYM'S "REDWOOD") Transcript provided by NPR, Copyright NPR.